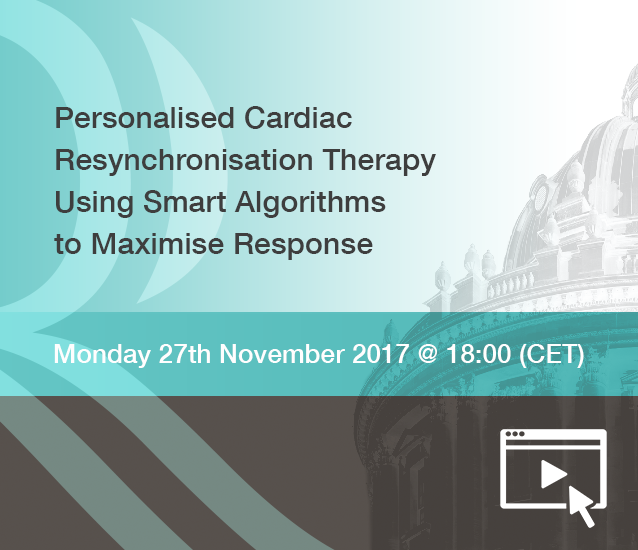 In this webinar experts in the field of cardiac resynchronization therapy (CRT) will discuss how CRT response can be optimized using innovative device algorithms and will show the clinical study results. Presenters will be Prof. Haran Burri (Geneva, CH) and Dr. Sing-Chien Yap (Rotterdam, NL) while Prof. Christophe Leclercq (Rennes, FR) will moderate the session. Prof. Christophe Leclercq is from the Centre Hospitalier Universitaire of Rennes (FR) and chief of the cardiology department. His main areas of interest include device therapy for arrhythmias and heart failure. He is a board member of the European Heart Rhythm Assocation and the European Society of Cardiology. Prof. Haran Burri works in the University Hospital of Geneva (CH) and is responsible for cardiac device therapy. He has been intensively involved in the educational activities of the European Heart Rhythm Association and the European Society of cardiology. He has performed clinical research in cardiac device therapy and electrophysiology while having published many scientific articles. Dr. Sing-Chien Yap is an academic cardiologist-electrophysiologist in the Erasmus Medical Center in Rotterdam (NL). His main areas of focus are catheter ablation, cardiac device therapy and lead extraction. His research included arrhythmia management in adults with congenital heart disease with special emphasis on devices and catheter ablation.